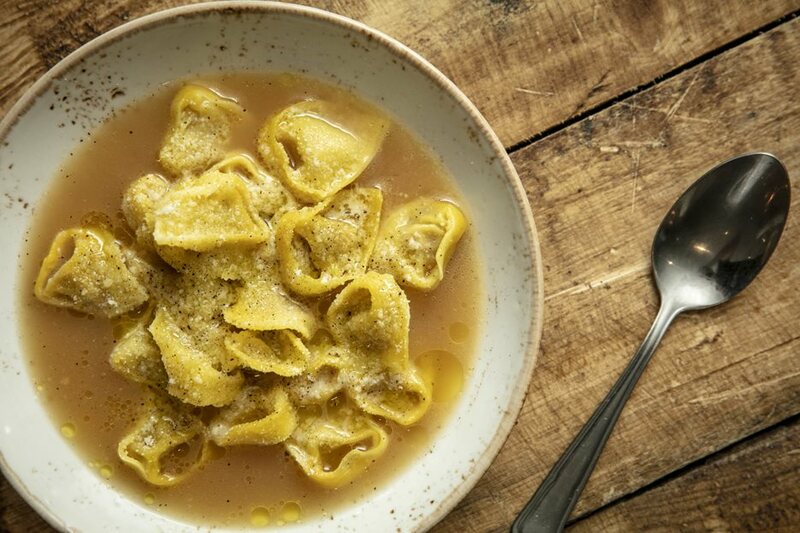 I'm always keen to find new restaurants in London, especially when they are Italian and when you come across a menu that makes your stomach rumble, even when you have only just eaten! This is exactly what Fiume did to me as I scoured the menu full of delicious southern Italian dishes. 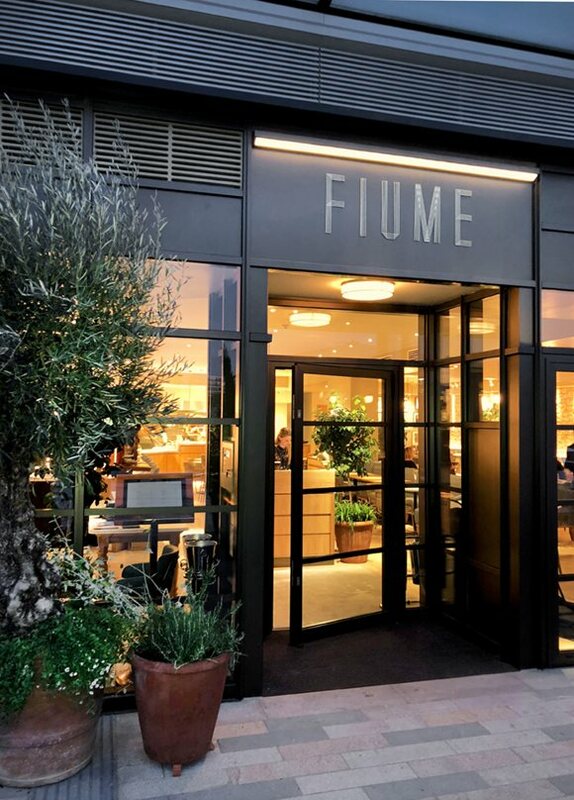 Fiume is located in the magnificent Battersea Power Station and is one of the first restaurants to open in the area. Headed up by our favourite Italian chef, Francesco Mazzei, who looks after other popular Portico Place, Radici. Since Battersea Power Station opened, I haven't had the chance to make it down so I've been looking forward to my Thursday night trip South of the Thames. It's a relatively mild evening so my dinner date and I, having met at Victoria, decide to walk over the bridge towards Fiume, meaning 20 minutes later when we arrive, we've both built up a thirsty appetite and are eager to quench this by trying some of the cocktails from the elaborate menu. We're seated at the front of the restaurant where the magnificent floor-to-ceiling windows give you a fantastic view of the Thames and the brightly lit outdoor seating, laden with faux fur throws and heaters, looking perfect for a night cap. However, with summer just around the corner it is clear this is going to be the perfect sun trap, with people fighting for the top spot. I can see myself already frequenting here often, Aperol in hand! Our cocktails and juicy nocellara olives have arrived, I've opted for one of the winter special rum-based cocktails, River Passion my date on the other hand has gone off menu and requested an Amaretto Sour, which she says is the best she's ever had! Quite a claim for someone who is known for her testing of Amaretto sour around bars in London. The restaurants high ceilings and simplistic décor compliment the bright menu Francesco has pulled together, with his southern roots coming through every dish. Captured by the fish dishes we order two to share, Tuna Carpaccio which is plated up with blood orange and almonds scattered around, and the prawns with asparagus, drizzled in salmoriglio sauce. Both dishes are immaculately presented and we find ourselves scrapping the plates not wanting either to end. Fiume are amazingly accommodating throughout the evening, even with my dinner date who is allergic to both gluten and dairy, yet does not feel like the menu has been limiting at all with plenty of dishes available straight from the menu and some of which can have these elements taken out. Once our cocktails are polished off, Luca the lovely manager of Fiume, suggests a delicious bottle of white wine from Calabria, southwest Italy. This teams perfectly with the main courses we have both selected. My tomatoey, blue lobster pasta is exactly what I was craving as it is full of flavour and large chunks of lobster stirred through; my dates Scottish crab is tossed in amalfi lemon taglionlini and sprinkled with chilli, dill and parsley. There is a noticeable difference with Fiume's pastas and you can really taste those homey flavours. Both the pastas we ordered were gluten free. Having eyed up the outdoor seating when we arrived, we opt to stay put for pudding and save the outside sitting for when we return. Now this is a calling to all those allergic to gluten and dairy. 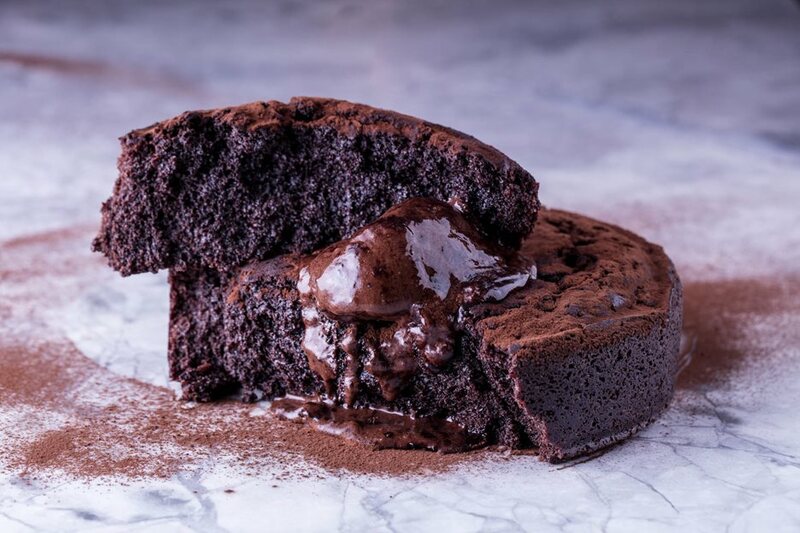 Fiume have nailed a gluten free and vegan friendly brownie that you MUST try, the brownie is so full of flavour and incredibly moreish. My creamy panna cotta is doused in wild berries and eventually defeats me. Fiume's restaurant space is perfect if you're looking to hire out and for any upcoming celebrations, and what more could you want than a river side view of the Thames and Battersea Power station. The food and service on the night was amazing, we had a thoroughly good time and I will be back for sure. Look out for me with my Aperol spritz in one of the lounge chairs soaking up the British sunshine!